When OnePlus 5 went out of stock a couple of weeks ago, our first reaction was that OnePlus 5T could be on the way – and it’s shaping up to be the truth. 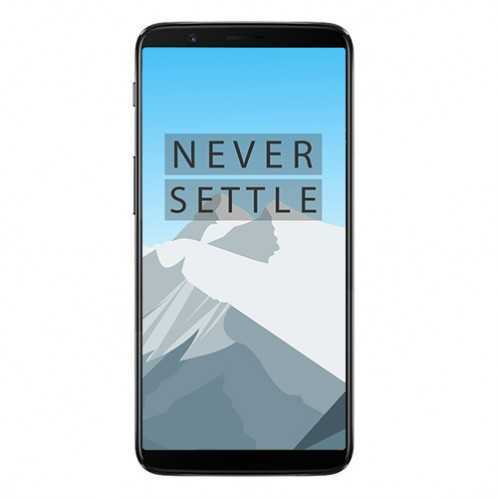 Since the OnePlus 5’s availability started becoming a problem, we have come across several leaked images of the alleged OnePlus 5T alongside the specs, features and price. Not so long ago, we also came across an alleged launch date of the phone, but the company itself has remained coy on the matter. Looking at the growing number of rumors, including a vouch from notorious leaker Evan Blass, we are quite sure that OnePlus 5T is on the way. In this regard, here is everything we know so far about the new flagship killer. According to Evan Blass, the OnePlus 5T will be released on November 20th, possibly following an official launch a few days before. It happened last year, where the OnePlus 3T was unveiled on November 15th and started selling a week later here in the U.S. A few days ago, leaked promotional materials of the 5T emerged with details of the launch date as November 16th, which adds even more weight to Blass’ alleged release date. According to the leaked marketing materials, the upcoming OnePlus 5T will stick to the same footprint as the current OnePlus 5, but with a larger display screen. This blends perfectly with previous rumors that have pointed towards a bigger 6-inch display screen with an aspect ratio of 18:9, same as the LG G6 and LG V30, and a full HD+ resolution. We’ve seen quite a good number of flagships shift their attention from the typical 16:9 display aspect ratio to 18:9 – and as expected, OnePlus isn’t staying behind. Similar to other OEMs that have taken to this design, the OnePlus 5T is expected to relocate the fingerprint scanner to the back panel, a move that many Samsung fans criticized the company with respect to the Galaxy S8 and Note 8. This change of design should also make room for the taller display screen while at the same time get rid of the hardware buttons. The dual-lens camera on the back will remain and so will the logo, just below the fingerprint scanner. You can still expect to see a USB-C port alongside a 3.5mm audio jack, unless OnePlus is ready to make a fool out of itself following a dig it aimed at Apple during the launch of the OnePlus 5. As for the specs, we recently came across a listing on Oppomart and even though not to be fully trusted, there isn’t so much room for error with respect to the hardware at OnePlus’ disposal. Just like it happened (mostly) with the OnePlus 3T, rumors suggest that the incoming OnePlus 5T will keep most of the hardware specs available on the OnePlus 5. Unlike last year where the major difference between the OnePlus 3 and 3T came in terms of internal specs, this year’s models will be differentiated largely by the design. Apparently, the specs inside the original OnePlus 5 will be retained in the OnePlus 5T, among them the Snapdragon 835, 6GB/8GB RAM, 64GB/128GB storage, but the battery capacity could be upped from 3300mAh to something bigger, perhaps a 3450mAh unit or more. The 16MP+20MP dual-lens camera on the back of the OnePlus 5 is a great combination, but according to rumors, this setup could be amped to feature two 20MP sensors. As for the front shooter, the same 16MP unit should be retained, probably alongside a bunch of new selfie-focused features and enhanced low-light performance. As far as pricing is concerned, the listing on Oppomart claimed the base model of the OnePlus 5T will be valued at $549 while the high-end variant will demand an extra $100. Although not confirmed, this is an unusual pricing strategy with respect to OnePlus. Looking at what has happened before, where the OG OnePlus 3 was priced at $399, the 3T came in with a slight price increment to $439, while the current OnePlus 5 saw a slight price jump to $479 for the base model, it’s possible that we are looking at a price of $519 for the base model of the OnePlus 5T, which would represent a price increment of $40, just like it has been happening before. So far, these are just rumors and nothing has been made official yet. With the clock ticking, we’ll for sure keep our ears wide open for more OnePlus 5T updates. Stay tuned. Meanwhile, what do you think about the upcoming OnePlus 5T? Let us know in your comments below.